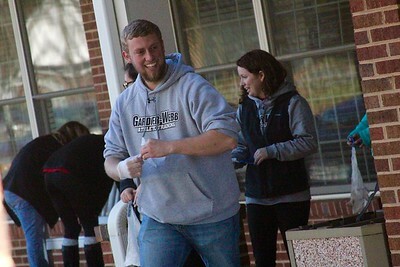 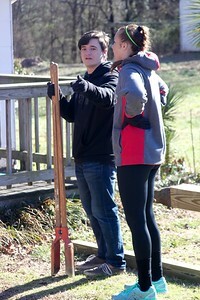 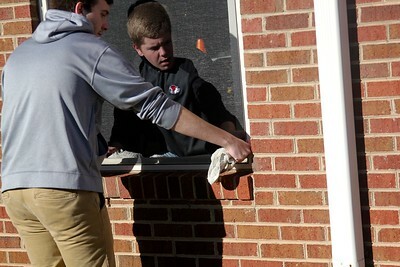 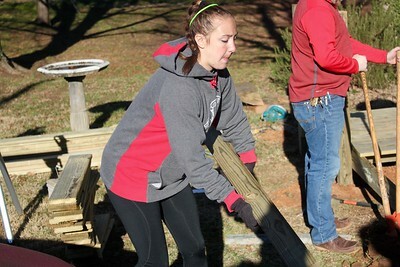 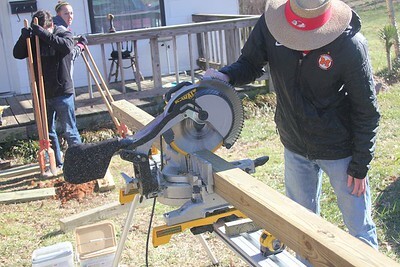 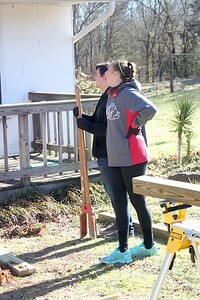 In honor of MLK Day, Gardner-Webb students went out into the community to serve in any way they could. 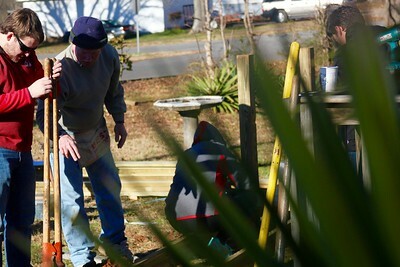 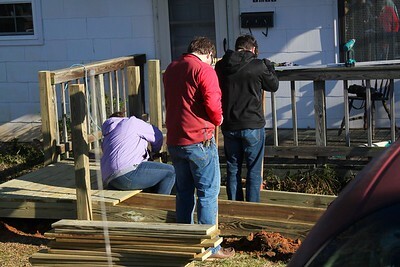 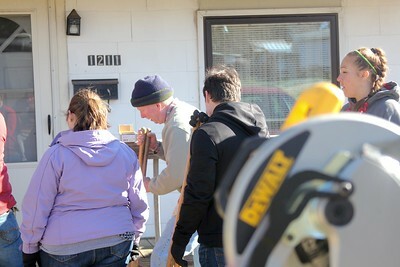 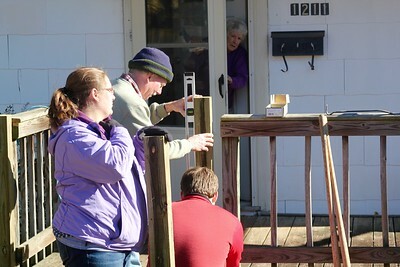 Here, students are preparing to construct a wheelchair ramp in front of a senior citizen's home. 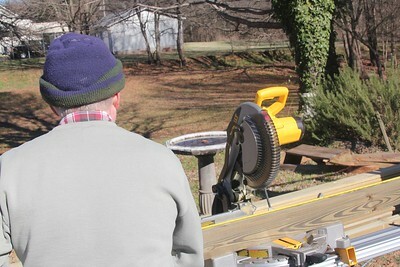 A man who guided the students in construction prepares a circular saw to cut the beams for the ramp. 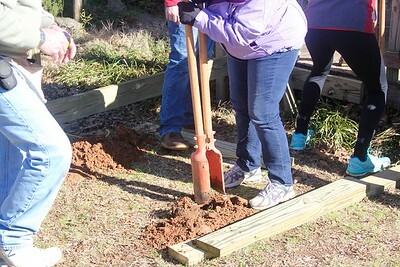 Students using tools to dig holes for the ramp supports. 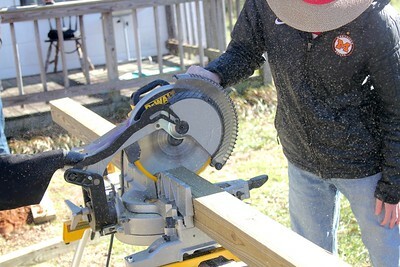 A student uses the circular saw to cut a support post to length. 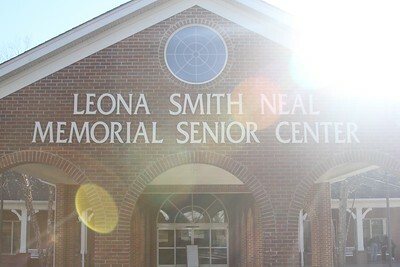 The athletic training club shipped out to the Neal Senior Center to clean, fix, and organize whatever they could. 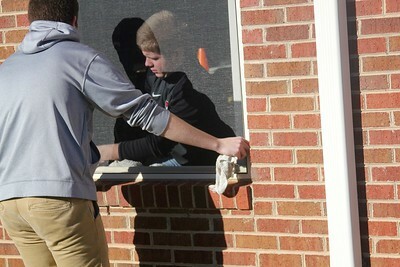 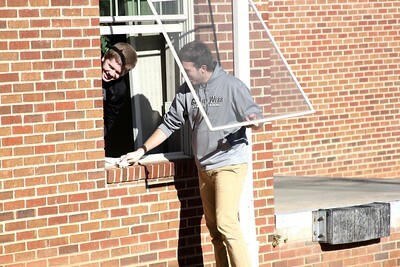 Two club members cleaning and re-adjusting a screen in a window. 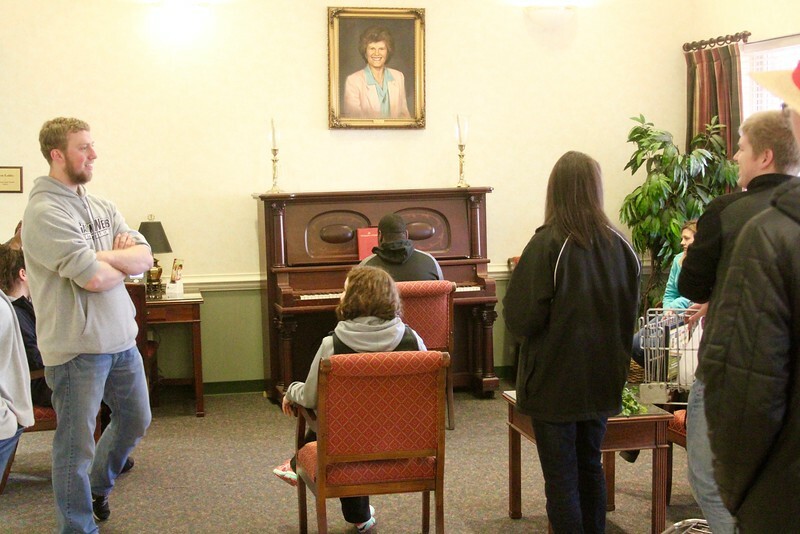 The athletic training club taking a break and listening to a student play the piano. 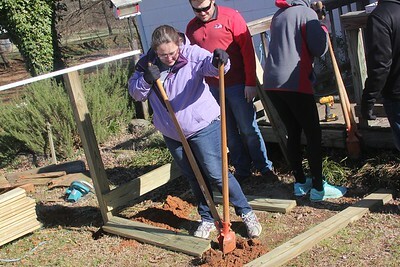 Students digging holes for posts. 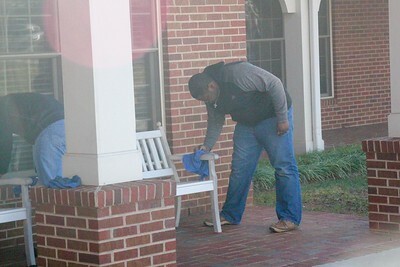 Club members wiping years worth of grime off of benches that senior citizens use every day. 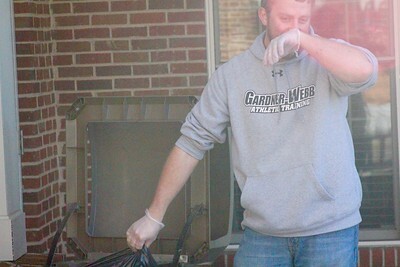 A student gets up close and personal with the trash. 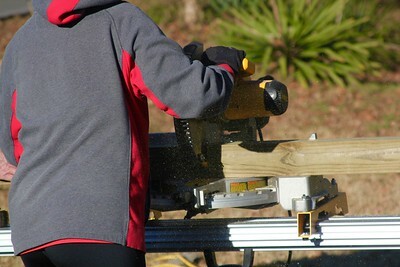 A student adding another cut support post to the pile. 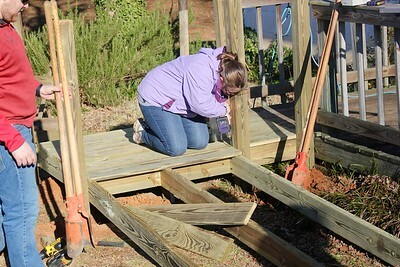 A student drilling a screw into a board that would become a part of the ramp. 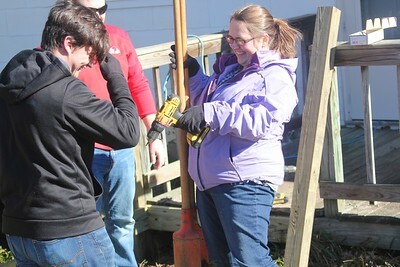 Various service projects in Shelby, NC, on MLK day of Service, Jan 18 2016. 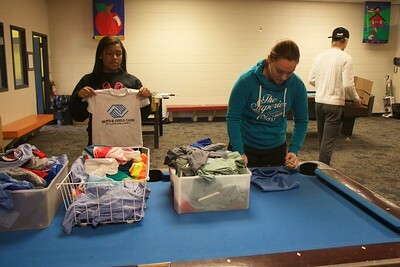 Boys and girls club of Cleveland County.